I've tried mtec before. They look nice but their light output is awful. I want to keep the same effect but want them to be bright. Otherwise there is no point changing them. i had a set of these which i fitted myself and the light output was great. or some 3000K HIDs as im looking at tinting my fogs and headlights yellow anyway. Philips Diamond Vision H8 5000k are a good match to the LED lights - very pleased with mine but incredibly hard to get hold of ! 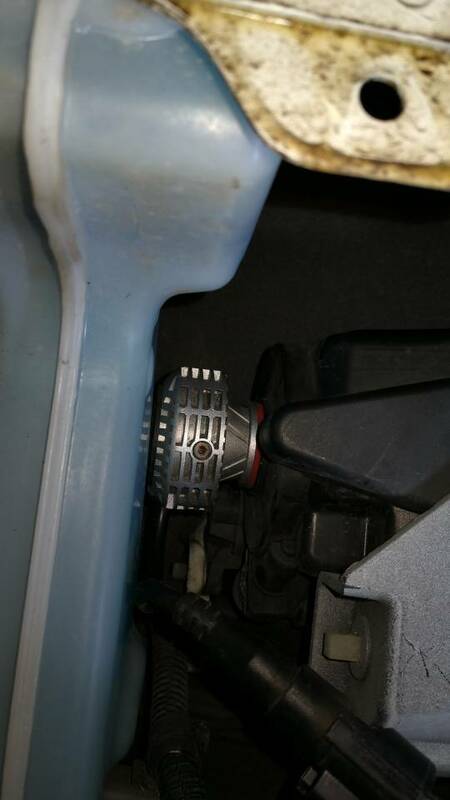 I realise this is an older post but I was looking to change my foglight bulbs to the philips bulbs you mentioned-they do seem difficult to find(specifically for the Seat Leon as you also mentioned)I`m abit reluctant to buy the ones on ebay from China as I wonder if they`re genuine philips..
you didnt look very hard. Hmmm me thinks there no the correct size tho ? Thanks for the info,I think I`ll give it a go with the philips bulbs if I can get my hand behind the washer bottle! 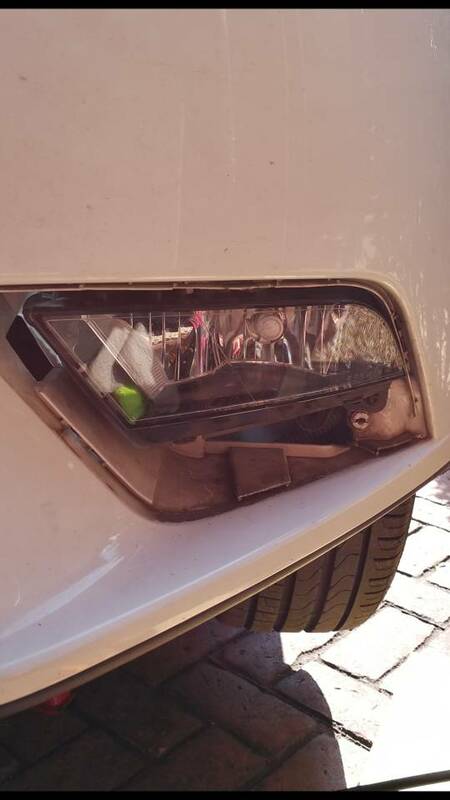 Does any one here knows what type of LED fog light bulbs, the facelift Leons have? 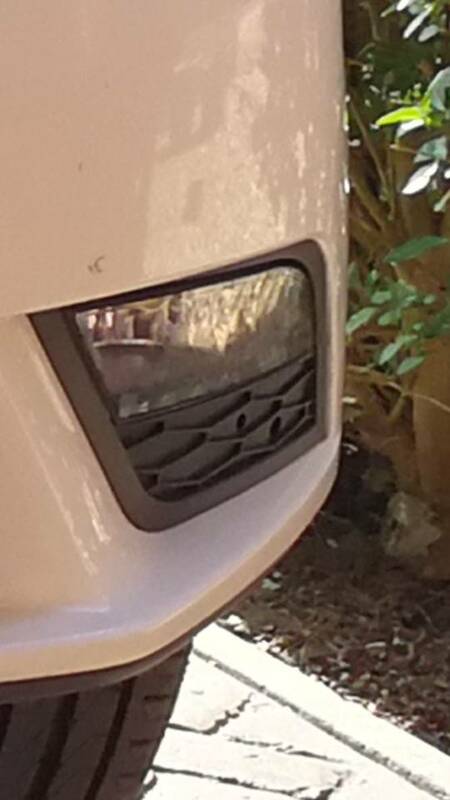 I have seen the newer Leons with slimmer fog light case/slot where the bulb is on. I want to put some LED fog lights in my 2014 FR, I can´t make a decision to which brand to go, so figured that the OEM bulbs that go in the newer Leons would probably be the best option. I changed mine to H8 Cree led 45w which match the led headlights. With no issues. I bought them from Horizon LEDs. believe me you won't be disappointed as I have them on as cornering lights and it looks good. Here you go a picture of what the led fog lights look like in my avatar picture. Thanks for your reply, could you send me a link of the ones you bought? Also in terms of real use, will these illuminate better than the OEM halogen ones? They certainly look much better! These are 45W and are much brighter then the standard halogen ones which are only 35W. They match the led headlights. You won’t be disappointed! I replaced my OEM H8 (25w or 35w halogens, can't remember. Either way they're pants) with these H11 LED bulbs. Enabled cornering lights and Fog Light flashing with full beam using obd11..... Great upgrade..
Kempo, Wastedagen and Ratocego like this. Any tips in how to best change the fog light from the left (passenger side)?, the washer deposit is in the way, is there a way to make it loose? I have the FR version, so I assume I cannot access from the front casing. I know you say you have the FR version but I too have little or no room on the passenger side due to water bottle. Do you have any screw access holes? Pull the trim off, remove the steel clip at 12 o' clock position and 3 screws then the light comes out. Unfortunately the FR version has to be done from the back. You will have to turn the wheel so it’s facing outwards or jack the car up and remove the wheel. Then remove the wheel arch plastic shroud, I think they are bolt head screws. Pry the plastic shroud back as much as you can and try to undo it with your hands. It is very difficult but persist and you will get there. I used a wooden block to wedge inbetween the plastic shroud so I could get my hand in. Ratocego and Wastedagen like this. If you have the larger bottle for headlight washers you can't even see the fog light!